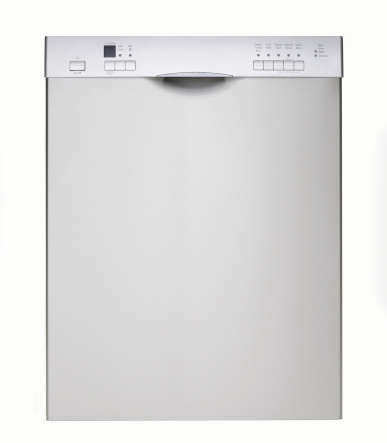 A dishwasher usually operates without any problems. But, if your dishwasher won't start, it's easy to get frustrated and think that you need a new unit. Oftentimes, however, you can easily fix this problem without the assistance of a repair person. 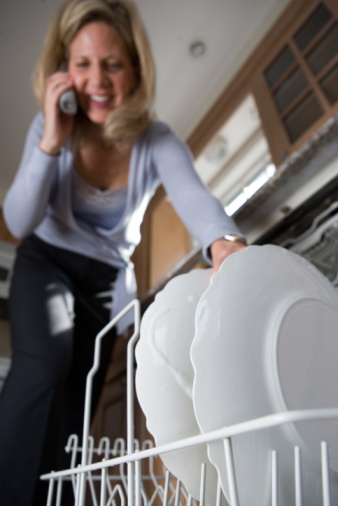 You can save money and avoid waiting for a service technician to repair your dishwasher. Fix dishwasher power issues, and avoid professional repair fees. If your dishwasher won't start, see if the power cord fits snugly into the outlet. Do not use an extension cord. Plug the dishwasher directly into the wall. Test the outlet with another appliance, and see if it's actually live. Check your home circuit breaker or fuses. Turn on the circuit breaker if an appliance has tripped it. Examine the fuses, and change out any ones that are black or have broken wires. If your power is turned off, contact your electricity company. You must turn the water shutoff valve to the "On" position. Clean the water inlet hoses and filters if they are clogged. Straighten the hose if it's kinked, or replace it if it's crushed. Depending on your model, you can lock your control panel. Unlock the control panel, or reboot it if you just experienced a power outage. Check the internal wiring if the dishwasher isn't powering on. Unplug the dishwasher from the power source, and remove the front panel. Examine the wires, especially the main wiring connection. This connection often burns out on older dishwashers. Check the wiring to the timer and the door switch, and the wiring that runs from the door to the base of the dishwasher. Replace any wires that are corroded or broken. Check the door switch, which is four wires connected via a plastic housing. Get a new door switch if any of the wires are burnt out. You probably have to get this part from an authorized parts supplier or the manufacturer. You must completely close the dishwasher door for the cycle to start. If you opened the door in the middle of a cycle, push the door closed and press the "Start/Resume" button to restart the cycle. If the door isn't closing, check the door gaskets/seals, and clean them if they are dirty. If the gaskets or seals are cracked or falling off, replace them. Your motor may pause between different wash cycles. If the motor doesn't restart, it's overloaded. Allow up to 30 minutes for the motor to reset, and then restart the cycle. If the motor is dead, contact a service technician.